The Shiants are a small group of islands in the Hebrides, in North West Scotland, four miles or so off the coast of Lewis and 12 from the northern tip of Skye, which lies almost due south of them. The website also offers information on the archeology, geology and natural history of the islands under Archives. In addition, those wishing to visit the islands and stay in the bothy can use the calendar and get advice on how to visit the island. 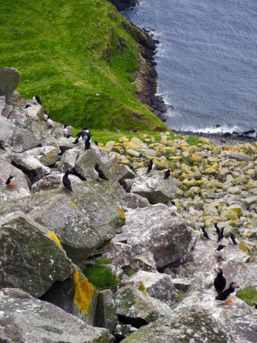 The islands are one of the most important breeding colonies for seabirds in Europe - around 10 per cent of UK puffins and 7 per cent of UK razorbills breed here every year. 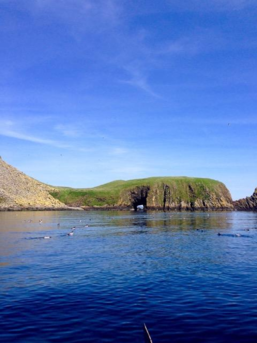 The rats that for years plagued the islands were removed during the Seabird Recovery Project from 2014-2018, The Shiants‍‍‍ now offer a great prospect for seabirds to set up new colonies such as Manx shearwaters and storm petrels. Over the next few years the abundance and diversity of the land bird populations will be investigated to see how they respond to the change. Monitoring ‍‍‍the flora and invertebrate communities will also take place to see how these communities adapt.